On a brief noon-birding trip to Puerto Armuelles I did manage to escape a couple of times to bird. The Rose-throated Becard was at El Manguito on April 5, about 10 km west of Puerto on the way to El Choorogo. 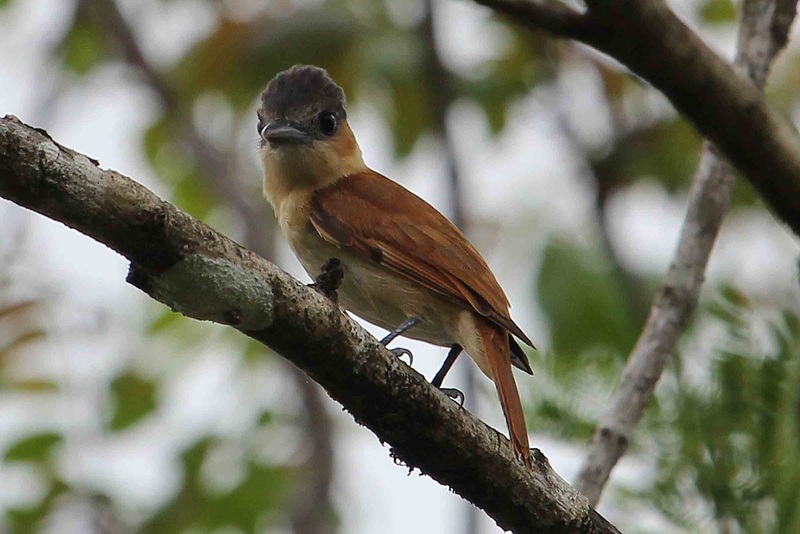 This species has been seen on just about every trip to El Chorogo and twice before at almost this exact site. 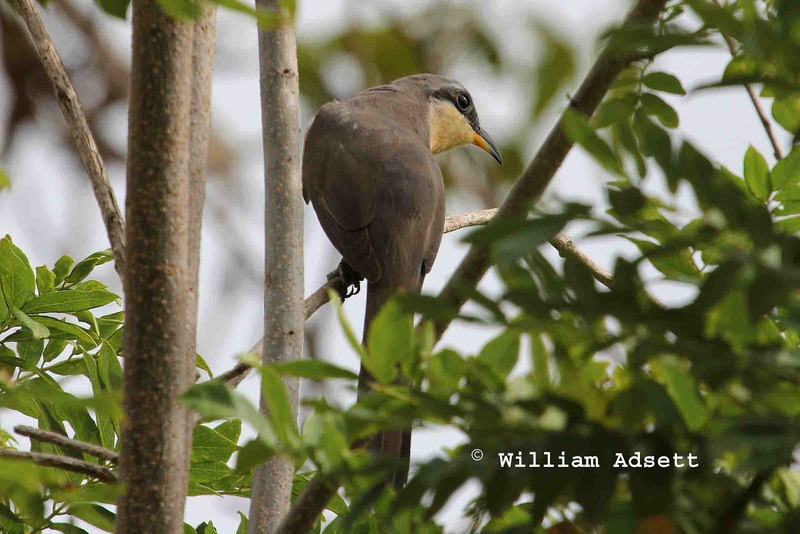 Mangrove Cuckoos are not uncommon on Burica but they are usually rather retiring. 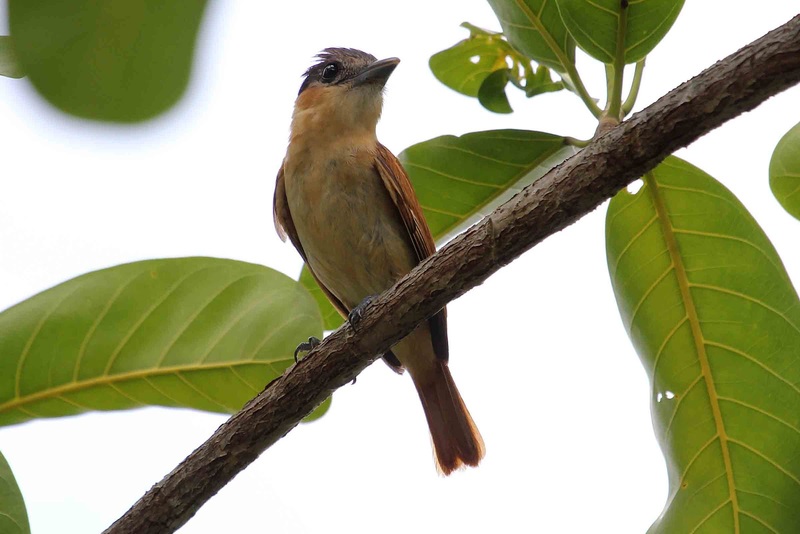 According to books, this species has not been found to nest or call in Panama. This individual was unusally active on April 6, flying around in open paddocks with scattered trees just behind the Romero supermarket in downtown Puerto Armuelles (!) More remarkably, it called several times. The underparts were really colourful, not pale at all.